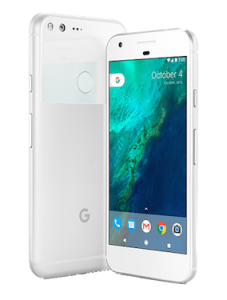 Nexus to Pixel – Hopes? Headaches? I picked up a new-to-me Google Pixel to replace my aging, beloved Nexus 5. I grabbed it off Swappa, my first-ever use of this great little marketplace. The seller offered a great price on a pristine 128GB silver version, complete with all packaging and the Daydream VR headset and four cases. All was wonderful with my purchase, until I found the phone had an unlocked bootloader, which threw up cautions when the phone booted up. Turning a problem into an opportunity, I took a couple hours to research the issue. The seller was also helpful. No biggie. I just needed to install Android Studio on my computer, open a Terminal, hook up my Pixel, and lock it down. It was a little more complicated since I didn't know the commands. But the Internet came to the rescue - again. Obstacle one overcome. And overcoming that obstacle forced me to do some things I've been wanting to try for years: install some tools on my Mac that will enable me to root a phone to put newer versions of Android on it. I think I'll try that with the Nexus 5 down the road. Project Fi was on my radar for a while. I figured I'd free up some shared data for the kids and the cost would mostly be a wash in the move. (I could be on Fi for $30/month, I think.) But it turned out that moving my number off the family's plan to play with Fi would not save me money. (Funny. I was sure it would.) Curses! I am a professor in the English Department at the University of New England, where I direct composition and teach freshman writing. My scholarly interests include new media composition, writing program administration, and Writing Across the Curriculum.